As the subtitle for my presentation goes, I truly believe that Design is a potent tool for positive change. The ways in which I believe that Design is such a powerful medium as well as methodology for change is embedded in its ability to attract viewers’ attention in a captivating way, to place important values within its content, and to communicate ideas effectively as one of the most highly utilized story-telling media in this day and age. 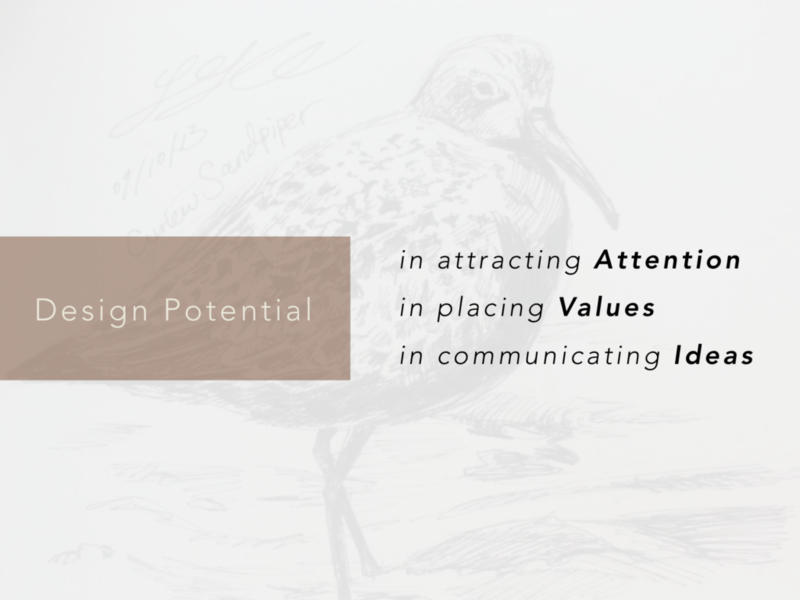 Good design strives to accomplish these three key factors to successfully exploit its potential in make meaningful impact in our world, and I also strive to mobilize this tool in pushing for greater awareness and change in conserving the natural resources of our planet. I was recently given a chance to talk about my interest and approach to conservation to other great minds working towards this same goal. I presented these following slides for the talk. Throughout my past experiences in the conservation field, I always rather felt like the odd one out as an individual without a formal Biology or Environmental Studies background—traditionally and rightfully the quintessential basis for this Scientifically-driven profession. Even when I first landed on my first conservation internship, I remember scrolling through countless postings on numerous online ornithological job boards for just the right position that did not mandatorily require a biology or related scientific educational background. Gratefully, the staffs at my first internship recognized the potential of this different perspective and skill set that I brought to the table, and consequently helped me to enter into this field that I now feel absolutely a kindred part of. It has been a great honor and pleasure to be recognized with such attributes even still, and I have been continuously and happily involved in various conservation organizations in ways that I can personally help. I feel blessed to be able to be working in this way, and to have these outlets to apply my vision and skills to reality. The following slides showcase a handful of works that I have and am currently working on for this umbrella theme of ‘Design for Conservation.’ These works range from graphic design materials like species profile sheets for key target shorebirds to protect, to apparel designs for fundraising and conferences, to website designs for various organizations in this field, to art direction for a participatory art project for World Migratory Bird Day celebration. In designing each of these works, I strived hard to kindle a spark of interest and, further, activism amongst perhaps the younger and more tech-savvy crowd: targeting to recruit a new wave of activists that are often not considered and can potentially lead to a fresher mobilization and input. Besides this ‘newer’ crowd selection, the trend towards much more considerately designed content calls for carefully curated and visually oriented piece—especially for a web-based platform. 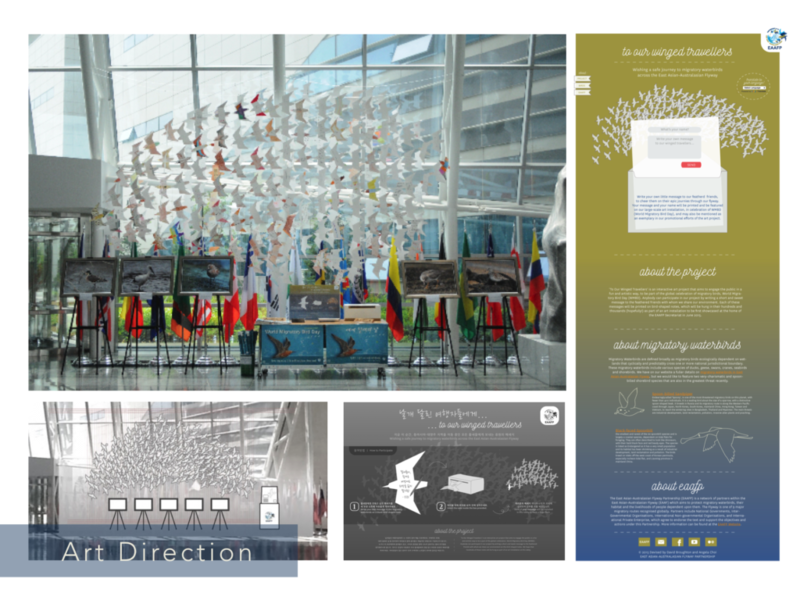 I envision in continuously honing the embedded marketing capabilities within the progress of my design skills to captivate my audience’s attention, persuading them of the value of the conservation efforts, and hopefully relay the right kind of call-to-action to bring them along as my comrades. I have seen this design-oriented approach to activism works very well within the younger crowd in Korea—the demographic group that should be actively encouraged to partake in conservation. Besides the positive feedbacks I have received with my works mentioned above, various campaigns of diverse characters and themes have utilized this visually approached method of communication of their contents. Notably, Ewha Womens University students utilized effective and attention-grabbing graphics via social media outlets to reach out for support during their campaign to reform university’s curriculum and newly introduced degree programs. These students took to communicating via similar methods throughout their highly contested and controversial protests on campus. 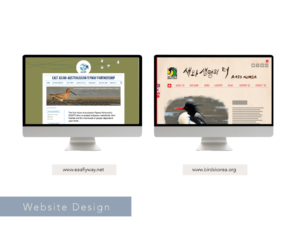 Other more relevant examples would be the design-oriented contents on the website of ‘Friends of the Earth: Korean Federation for Environmental Movements,’ as well as various fundraising materials produced by the students at the ‘University Birding Clubs of Korea,’ as shown below. 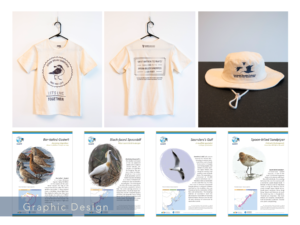 These groups utilized considerately designed materials within their online and in-print contents, to better communicate their conservation and call-to-action messages, as well as to further embody great value in their efforts. I ended the presentation with my slightly shifted focus towards Landscape Architecture—the profession in which I currently study at the Harvard Graduate School of Design as a candidate for Master of Landscape Architecture program. 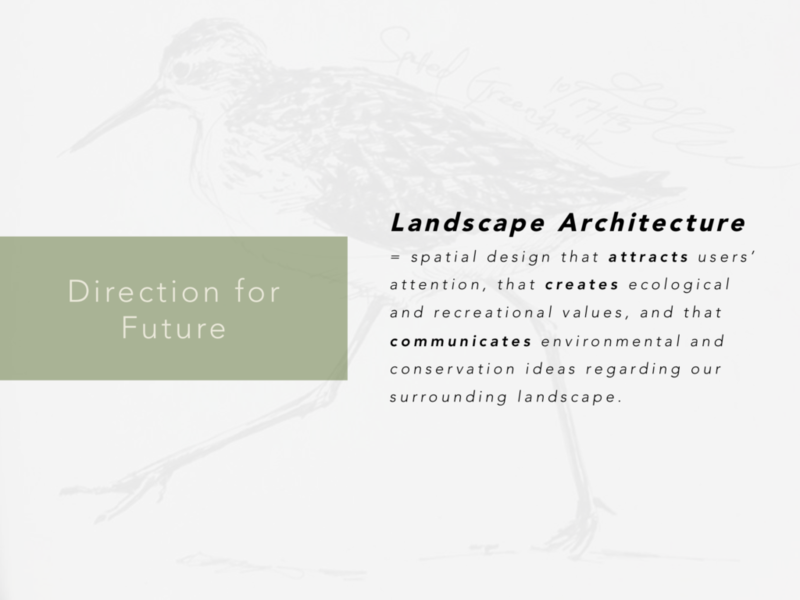 I saw the potential in utilizing the familiar design methodologies, yet in a slightly different context and medium, to contribute to a better land management, planning and design for a more integrated coexistence of birds, the greater natural environment, and our human race. More and more I realize how little we understand the natural as well as the built environment we must inhabit and incorporate, and thus sensitivity and curiosity towards these natural and artificial wonderlands are crucial in this incredibly impactful profession. Landscape Architects work with and for people as well as the environment, and thus possess the existential responsibility to make positive transformations of our habitats. With such philosophies in mind, I engage myself deeply into this new study while maintaining my close connection to the conservation sector. 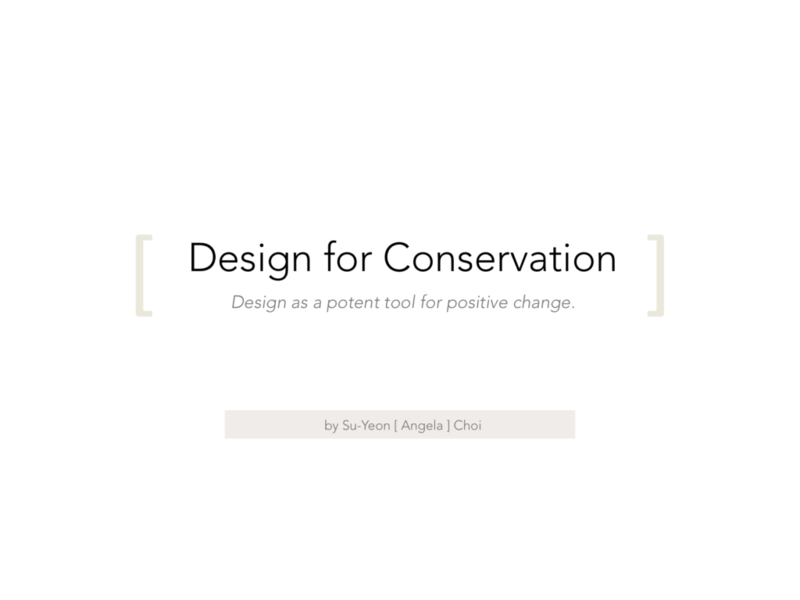 I plan on continuously dedicating my down time in supporting the organizations like Birds Korea in the best way that I can—by designing for conservation. Agree with you, human beings are aesthetic beings and beautiful design certainly attracts us and if we get people’s attention we can communicate our message more effectively.